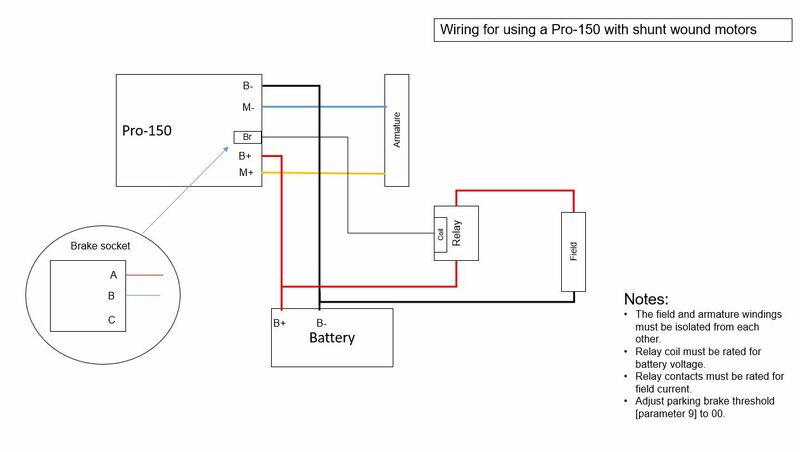 Here’s a diagram showing how to use the Pro-150 with shunt wound motors. The principle is to use the brake driver on the Pro-150 to activate a relay that feeds the field winding, and to use the main motor feed to drive the armature winding. Although we drew it for the Pro-150, this arrangement will work for any 4QD controller that has a brake driver.